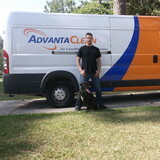 Advantaclean of Sandy Springs provides mold testing and removal, water damage restoration and fire damage services to Atlanta and outlying communities. 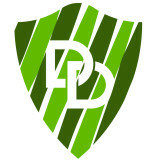 We provide professional and affordable services to clients in the Atlanta area. Leave worry out of the equation by taking advantage of our Disaster Recovery Service , and letting the experts handle it. We’d love the opportunity to work with you and show why our exceptional service sets us apart from the rest of the field. Every customer's need for professional restoration services is important to us at Rainbow International®. Our focus of providing quality home and commercial restoration combined with honesty has made us the first choice of many clients worldwide. 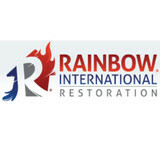 Rainbow International understands how important it is to service your restoration and cleaning needs in a timely, courteous and professional manner - whenever you need mold removal, duct cleaning, upholstery cleaning, odor removal, water damage restoration, or fire damage restoration and cleaning. Many of our customers look to us as their preferred cleaning and restoration service provider. That's why when you call, you can be sure that you are reaching a professional restoration and cleaning company who has the expertise and experience required to service your home or commercial renovation needs. With Rainbow International, you always know what to expect. We enjoy our work and it shows! We look forward to welcoming you as a customer and being your preferred restoration and cleaning services company in the future. Disasters do not respect people or their property--it can happen to anyone. And when it does, we have an opportunity to reach out in so many ways. 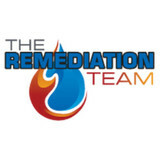 The South's most trusted remediation team! Win Win Emergency Restorations Corporation is a damage restoration contractor serving the Marietta, GA area since 2004. Services include Water Damage Restoration, Emergency Water Removal, Emergency Plumbing, Smoke Damage Restoration, Fire Damage Restoration, Flood Damage, Basement Flood, Burst Pipes, Dry Out Services, Toilet Overflow, Appliance Leaks, Construction Services, Contents Cleaning, Disaster Cleanup, Junk Removal, Mold Removal and Sewage Cleanup. Full Circle Restoration & Construction Services, Inc. is North Georgia’s most experienced first response disaster recovery and reconstruction company. Our professional and certified team specializes in emergency services, fire, water, and storm damage, mold remediation*, and general contracting and remodeling. For over a decade, Full Circle Restoration & Construction Services, Inc. has proudly served the Atlanta metro area and Southeast with our 24 hours a day, 7 days a week immediate response team and reconstruction expertise. Full Circle is the one source you need when the unexpected occurs and we will be at your assistance — fast. Asbestos Removal Pro was founded by Mario Ramirez to offer residents of Atlanta safe, effective services for the removal of asbestos from residential and commercial buildings. All members of the Asbestos Removal Pro team strive to provide the highest quality of service to our clients. We believe in being proactive and taking immediate action in order to secure the health and well-being of the people who use the buildings we serve. The EPA officially recognizes asbestos as a high priority risk that can potentially cause serious health problems, and we here at Asbestos Removal Pro take that risk seriously. For this reason, we emphasize providing a quick response to our clients. We act quickly, responsibly and effectively to remove asbestos and ensure that the buildings we work in have clean, toxin-free air. 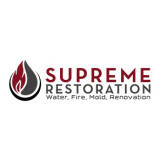 Restoration Relief LLC is a damage restoration contractor serving the Snellville, GA area. Services include Water Damage Restoration, Emergency Water Removal, Flood Damage, Burst Pipes, Frozen Pipes, Hail Damage, Basement Flood, Ice Dam Removal, Toilet Overflow, Water Heater Leak, Appliance Leaks, Roof Leak Repair, Leak Detection, Storm Damage, Fallen Tree, Disaster Cleanup, Fire Damage Restoration, Smoke Damage Restoration, Mold Detection, Mold Removal and Dry Out Services. Total Services Restoration LLC is a damage restoration contractor serving the Smyrna, GA area. Services include Water Damage Restoration, Emergency Water Removal, Flood Damage, Emergency Plumbing, Burst Pipes, Basement Flood, Dry Out Services, Fire Damage Restoration, Air Duct Cleaning, Allergen Removal, Appliance Leaks, Asbestos Removal, Board Up Services, Construction Services, Contents Cleaning, Disaster Cleanup, Junk Removal, Mold Detection, Mold Removal, Basement Waterproofing, Roof Leak Repair, Sewage Cleanup, Smoke Damage Restoration, Toilet Overflow, Trauma Scene Cleanup and Vandalism Damage. We'll Have You Breathing Easy Again! Eco-Tek Pro, is your solution for all mold, water damage, fire & smoke restoration. We take great pride in our professionalism, timeliness and superior customer service on every job. We pride ourselves on being a company that you can rely on and that, not only does the job, but does it well and protects your family, pets, and the environment. EcoTek Pro uses a time-proven system of almost 30 years that is non-toxic, effective, and environmentally safe. RoLanka is an environmentally concerned company that supplies 100% natural and biodegradable products for soil bioengineering. Find environmental services and restoration professionals on Houzz. Narrow your search in the Professionals section to Panthersville, GA residential environmental testing and home disaster restoration services to find a list of qualified professionals. Read through professional profiles for information on qualifications, experience and services provided.